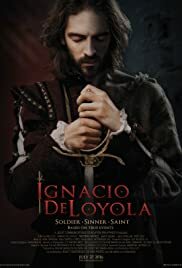 Iñigo de Loyola: I once asked a man to break my leg, so that it would heal and be whole again. For the same reason, I needed God to break my spirit. Fortunately, God is a much better surgeon than man. This movie was touching especially to those who follow the same faith or better yet, those who are already familiar with the saint. For a 2-hour film, story line was smooth, although it was dragging at some parts. They could have added more of his past life into the movie, and not just 30 second flashbacks. In my opinion there were a lot of important things that happened in his past that could have been squeezed in. The cinematography isn't that great either; it felt chopped up most of the time and the camera angles were sometimes off. The message of the movie was clear and simple. The acting was great, although their accents were heavy so I suggest watching it with subtitles.